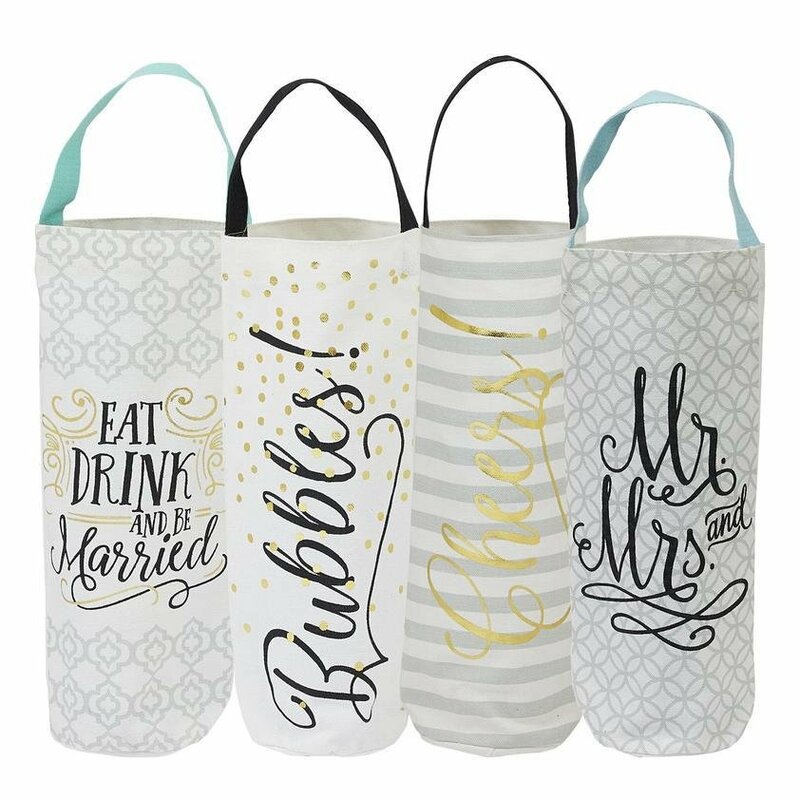 Wedding bottle totes with multiple phrases, Choose from Mr and Mrs, Eat Drink and Be Married, Bubbles or Cheers. Each wine bottle bag measures 6"w x 12.5"h with 4" diameter bottom. 100% Cotton. Machine wash cold separately • Gentle cycle • Tumble dry low • Low iron.